1. Removing all the trees: It might be tempting to pull out the chainsaw and sought that depressing looking willow tree out once and for all, but be cautious. Contrary to many people’s belief, removing trees can sometimes cause more damage to the value of a home than simply leaving them there. A large attractive tree can add $10,000 - $15,000 to the value of a property in some areas. 2. Expensive, but unnecessary fittings: A reno that gives you the best house on the street, won’t necessarily get you the best price. If you are an owner occupier in an area where there are a lot of rental properties that have been neglected and not well-looked after, it won’t matter how much you spend on improvements, the rest of the neighbourhood will drag the value down. 3. 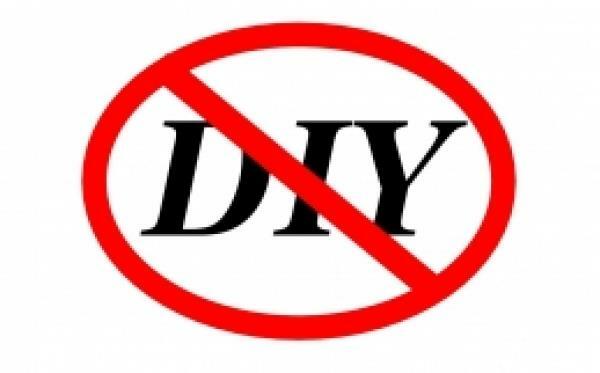 DIY fails: Homeowner-installed wiring and plumbing often spell instant devaluation on a property. It is illegal and dangerous and may be picked up by a pre-purchase inspection. Unless, you’re a professional yourself, leave complex projects to those who know what they’re doing. 4. Pulling out the ugly stick: Renovations should be sympathetic to the original building. Starting an extension without considering the form or visual impact of the exterior materials being used so that the renovation appears as an add-on rather than part of the house, can potentially devalue your property by at least $28,000 on average. 5. No playground, no barbeque: Poorly considered site planning, including extensions that can leave unusable outdoor spaces or are overwhelmed by fences and retaining walls close to important rooms will devalue the whole property.If you look at the new home designs that are current at the moment, you’ll see that there’s a really big emphasis on lifestyle or an outdoor living. Whether you’re buying a new home or an old home, people are looking for these features these days. 6. Illegal building and faulty structures: Undertaking construction work without a permit normally results in an instant fail. A prospective buyer having a pre-purchase inspection when you try to sell usually picks this up. Illegal building ultimately costs some owners $30,000 or more to make it comply with regulations. The same can be said for installing new kitchens and bathrooms without first checking that the sub-floor structures are sound. Many new kitchens are virtually destroyed in the first four years by floor subsidence.